Creating a website that ranks well and can be easily found on the search engines go beyond just having good content. 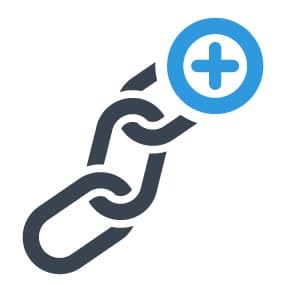 Link Building still plays a major part in the ranking of any website, providing your back-link network is relevant to your content and provide high quality links. These days Google is much smarter than even a few years ago, and just relying on backlinks from anywhere will no longer make the grade. You need to ensure you are linked to only high quality content or sites which give your website an ‘authority’ position. If your content is of high quality and deemed useful to someone, thats great. But when your content is useful to someone but you ‘own’ that spot from strategically connecting to other sites and blogs in the correct manner then this will boost your authority, which is terms makes Google believe your content is valuable to their visitors. Smartfish have the tools to analyse your website’s current and provide an in-depth review and report of your curent website’s backlinks and assist in removing old backlinks, and links of no value, and help provide you with the correct details on increasing your authority and your backlinks. Contact Smartfish, your Sunshine Coast SEO and backlinking specialists, and we’ll get you ranking well again. Request a quote for your Website Backlinks! Need a quote on your seo or backlinks? Request a free quote….